I bought the cheap barbell from my local sporting good store...I also broke it within 24 hours. Yes, I broke a barbell. Learn from my mistake. Go with quality. Go with Rogue. 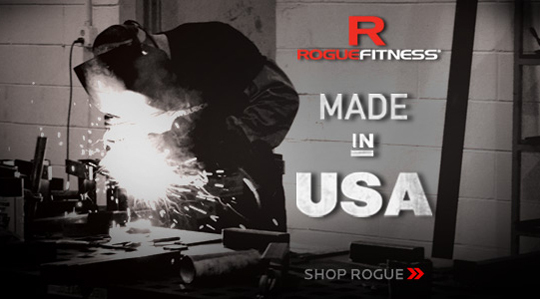 Rogue Fitness is the only company I recommend when it is time to buy fitness equipment; as their company values and product standards fall in line with End of Three Fitness. Rogue Fitness was started in a garage and amongst a group of people that could see an industry in need of change. They have strayed off the beaten path of the traditional equipment sales market. They don’t have a salesman in every region pushing their products, they rely upon word of mouth.